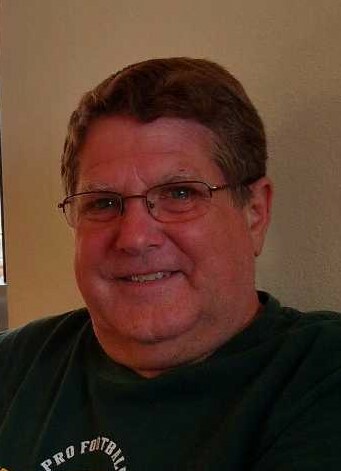 Michael Robert Shaske, age 62 of Wales, WI, passed away suddenly and unexpectedly with his loving family by his side on Thursday, April 11, 2019 at Oconomowoc Memorial Hospital. Michael was born on October 1, 1956 in Watertown, WI to Robert and Arlene (Houk) Shaske. He married the love of his life, Diana Chaffee, on October 7, 1978 in Arkdale, WI. Michael and Diana had an amazing life together. They had two wonderful children, Christopher and Melissa, who went on to marry and give them four beautiful grandchildren. Michael graduated from Kettle Moraine High School in 1975. He was employed by the State of Wisconsin Department of Corrections for over 30 years before his retirement. He enjoyed going on morning walks with Diana, and when in Eau Claire, with Chris’ dogs, Cooper and Gus. He loved watching and going to see the Brewers, Packers, and Badgers play. Since his retirement, he enjoyed putting together puzzles, baking cinnamon rolls and other sweets, taking naps (or as he would say “just resting my eyes”), traveling with Diana and their family, and working in the yard. Michael always tried to make their lawn look as good as the Miller Park outfield. As Papa, the grandchildren could get him to agree to do all the silly things they wanted to do. He always did a good job getting them wet, dirty, sticky, and full of treats before sending them home to mom and dad. The kids had their Papa wrapped around their little fingers, and he loved every minute of it! Survivors include his wife of 40 years, Diana of Wales; his children, Christopher (Jessica) Shaske of Eau Claire and Melissa (Kevin) Steffanus of Waterford; his grandchildren, Hailey, Ella, Owen and Autumn; his mother, Arlene Shaske of Grand Marsh; Siblings, Char Shaske (Jim Laack), Robert Shaske (Sally Reise), Karen (Bruce) Burks and Russell Shaske (Rose Sapone); other relatives and many friends. Michael was preceded in death by his father, Robert. The family is sincerely grateful for the amazing and loving care Michael received from the ICU staff and doctors at Oconomowoc Memorial Hospital. Funeral services for Michael will be held on Saturday, April 20, 2019. Visitation: 10:00 am -12 noon. Funeral Service: 12 noon with Rev. Roy Nelson officiating. Memorial contributions in Michael’s name can be directed to the family for distribution at a later date.